By now, you've likely heard of or been asked to sign the ballot initiative that would allow the use of medical marijuana in the state. The latest effort didn't come without years of attempts to pass legislation at the Capitol, though, and has resulted in an upswell of public support to change the law without the Legislature's involvement. But who's behind this latest grassroots lawmaking? At City Weekly, we asked some of the initiative's sponsors and other advocates what keeps them motivated and how they don't get discouraged after repeated failures on the Hill. Christine Stenquist is the president of Together for Responsible Use and Cannabis Education (TRUCE). A self-described chronic pain sufferer, Stenquist has spent the past four years lobbying for medical marijuana legislation. Even after the Legislature defeated former Sen. Mark Madsen's medical marijuana bill in 2016—a blow that led to his retirement—Stenquist says that while it was a setback, she wasn't ready to give up. Even with a ballot initiative in the works, she still spends her days at the Capitol. "I'm up on the hill right now battling five cannabis bills that won't do what it needs to for patients," Stenquist says. "I don't know if patients will have what they need because we have so much infighting going on in this Legislature ... If that continues to be the case, we won't have a thriving industry. "But I'm still hopeful because five years ago, nobody was talking about [medical marijuana] in this state." Last week, the House passed a "right-to-try" bill, House Bill 195, that would give terminally ill patients a right to try medical marijuana. However, a companion bill, House Bill 197, initially failed in the House but resurfaced and was passed with a new substitute on Feb. 13. 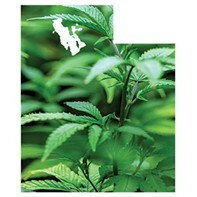 The bill would order the Utah Department of Agriculture and Food to grow some marijuana for the patients. The Senate will now determine the fate of both bills. Stenquist says organizers, including the Utah Patients Coalition, have about 142,000 citizen signatures behind the initiative—more than enough of the required 113,000. Now, they must finish determining what districts the signatures came from to make sure there are enough from each voting district. "Those bills are too little and way too late," Stenquist says about lawmakers' efforts. "Four years ago, we started with small steps and they still haven't done anything for patient research. They're [the Legislature] not wanting to help patients." Melissa Butler is a nurse that works with hospice and homebound patients. Butler says she sees patients "all the time" that would benefit from access to medical marijuana. "Every day I see patients that would benefit from it," Butler says. "A huge problem we see is neuropathy and the only way to treat it is with Gabapentin, and nerve pain doesn't respond to opioids well either. In every case where the patient has tried medical marijuana, they report better pain relief." While speaking to City Weekly, Butler had just finished a visit with one of her patients, Grant Adler, a veteran who is not terminally ill but is restricted to a wheelchair. Adler says he's had numerous surgeries to help pain from injuries received while serving in the military, but, because he is now missing part of his spine and had several surgeries on his hands, he has to rely on pain meds. "There's not a cure for me," Adler says. "They've done all the surgeries, so their idea of treatment is put me on maximum dosage of Gabapentin and put me on pain pills every three hours, or I can go have back surgery, which would put me in a wheelchair full-time." Adler says he would benefit from medical marijuana and would rather not have to rely on opioid pain medication as much as he does now. "I realized there's a girl [who wanted to use medical marijuana] who was in a wheelchair and she left the state," Adler says. "Now that she's able to get medical cannabis, she's no longer in a wheelchair. "I'm looking at leaving Utah because I can't get the medicine that I need." Butler says she didn't get involved in advocating for medical marijuana until after the Legislature failed to pass it. She says she was "sure there wouldn't be a problem with the Legislature passing it, but we've seen that's not the case." "This is the best way I could be an advocate for them," Butler says. "In [nursing] school, you're always taught we're supposed to be an advocate for your patients—I think at this point, in getting [the ballot initiative] passed, this is the best why I can be an advocate for my patients." Carl Wimmer is a former state representative who left the political world in 2012 and now co-sponsors the ballot initiative. In an interview with City Weekly in January, Wimmer said he thinks the Legislature has failed its duty of public representation when it comes to medical marijuana. "Who has not been affected by a loved one who has suffered severely from cancer and other diseases?" Wimmer asks. "The bottom line is compassion and love for mankind demands that we allow whatever option is out there and these are possibilities for relief." Several years ago, Wimmer says, a brother of his died from pancreatic cancer and "there was nothing the doctors could do that could take the pain out of him." He says he would have liked to have at least the option of medical marijuana for his brother's pain. 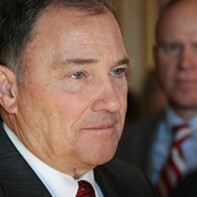 Now an ex-Mormon, Wimmer has also publicly criticized the Church of Jesus Christ of Latter-day Saints for having a say in the state's future for medical marijuana. "I think the majority are doing what the LDS church wants done regardless of their constituency, and I believe a majority of voters support this," he says. Ballot supporters, such as Wimmer and Stenquist, now worry proposed legislation could have an impact on the initiative come November. Lindsey Ohlin says she first knew she wanted to help bring medical marijuana to Utah after hearing about former Utah mom Enedina Stanger. Stanger was arrested and charged with felony child endangerment in 2015 after police found her using medical marijuana in her car while her husband and children went into a store, according to ABC Channel 4. As a result, Stanger and her family moved to Colorado. That ordeal, she says, was just one reason she knew she should help. "I was so heartbroken with the situation for Stanger. One of my good friends, her son has cerebral palsy and desperately needs the medicine and that was a big kick for me to get going," Ohlin says. "I've had chronic pain the majority of my life. I have fibromyalgia, and I think I could benefit from it as well." Ohlin says she has met "very few people who are opposed to this" since she's been involved. 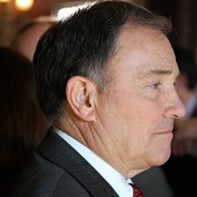 The recent poll conducted by The Salt Lake Tribune and Hinckley Institute of Politics that showed 76 percent of Utah voters either strongly or somewhat support the initiative, keeps her motivated. "I've met so many patients along the way that just truly need it and they're just in way worse shape than I am," Ohlin says. "I'm in shape to go actually do something—some of these people are stuck at home and they can't be working on this like some of us can."